I look at the clock one evening and see dinner was suppose to be in about 30 minutes and I didn’t know what it was going to be yet (this happens more often than I would like to admit 😜). I check out the food I have in the fridge and fruit bowl. 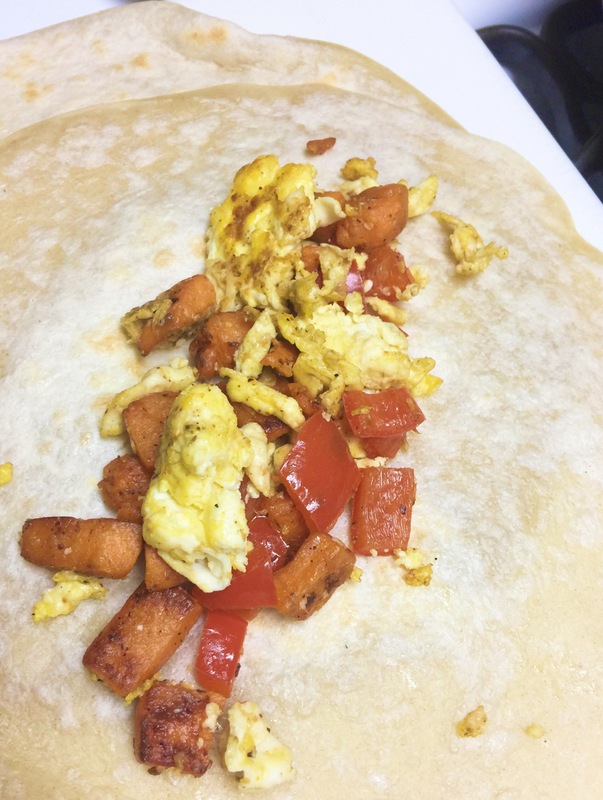 I see a sweet potato, a red bell pepper, eggs, tortilla and cheese. I think about it and say to myself, “hmm I wonder if this would make a good breakfast burrito”. Oh man, let me tell you, it was fantastic!! I would have to say one of my favorite foods is a good breakfast burrito! I just love them! I gotta say that this one is one of the best!! The sweet potato and the sweet bell pepper work SO well together! 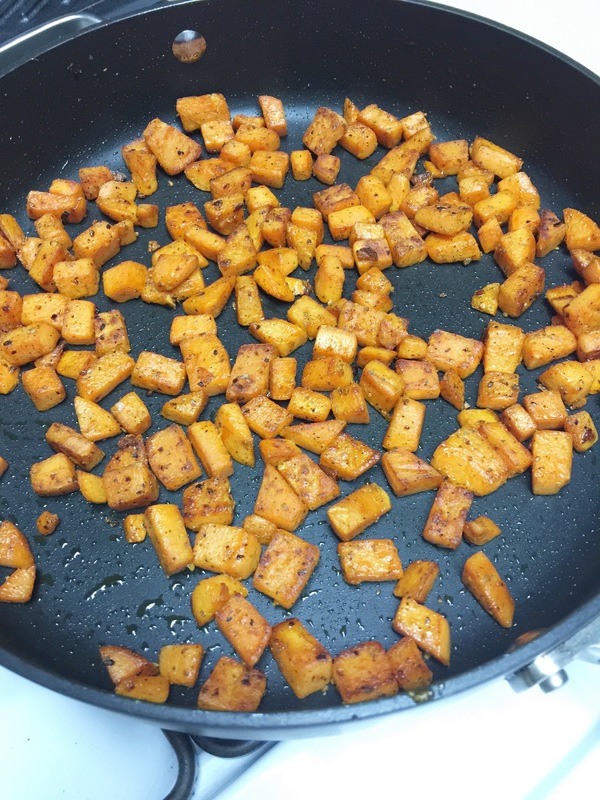 I start by drizzling some olive oil in a skillet and add my diced sweet potato. Then I push the sweet potatoes to the side and add the bell pepper. 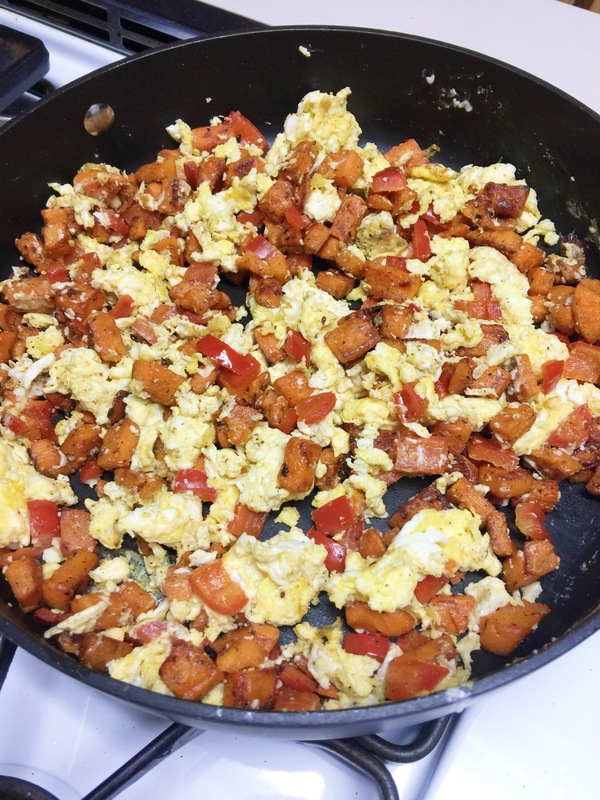 Then I push the sweet potatoes and bell pepper a side and add the eggs and scramble them. Then mix it all together. Oh man, this just smells delicious! I like to use the raw tortillas. So I start cooking those up and then add my filling. Once I add my filling and roll it up, I let them brown a little bit on a hot skillet. Add the sweet potato, sprinkle with no salt seasoning and garlic powder. 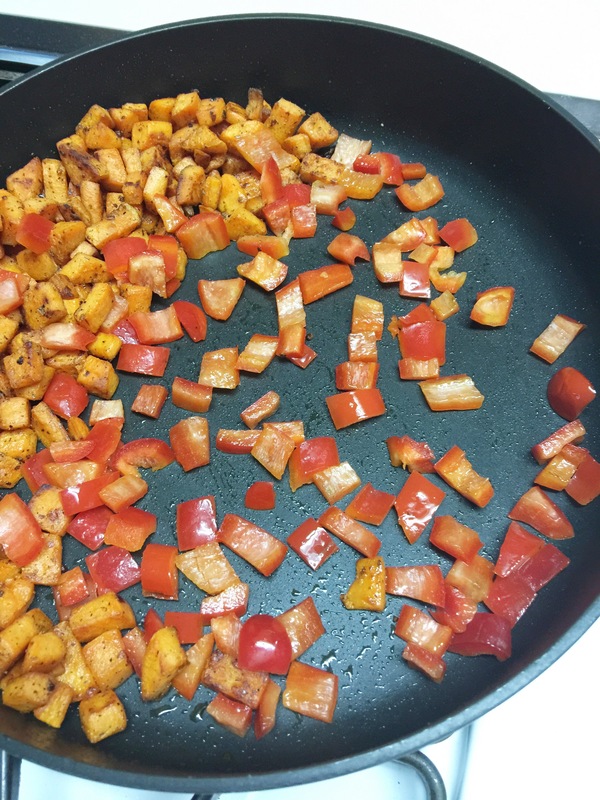 When Sweet Potato is tender, push to the side and add bell pepper. Just bring to a sweat then push to the side. Crack 5 eggs, scramble and add salt and pepper to taste if desired. 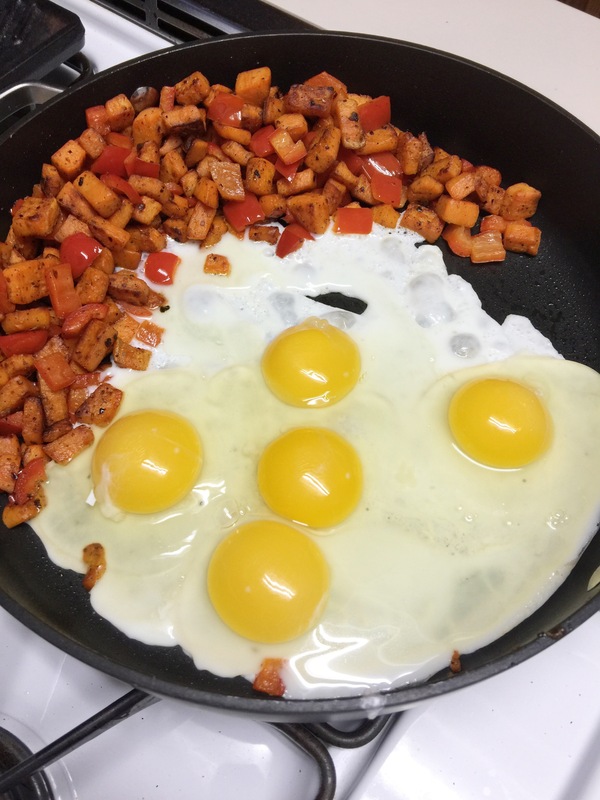 Once eggs are cooked mix sweet potato, pepper and eggs all together. 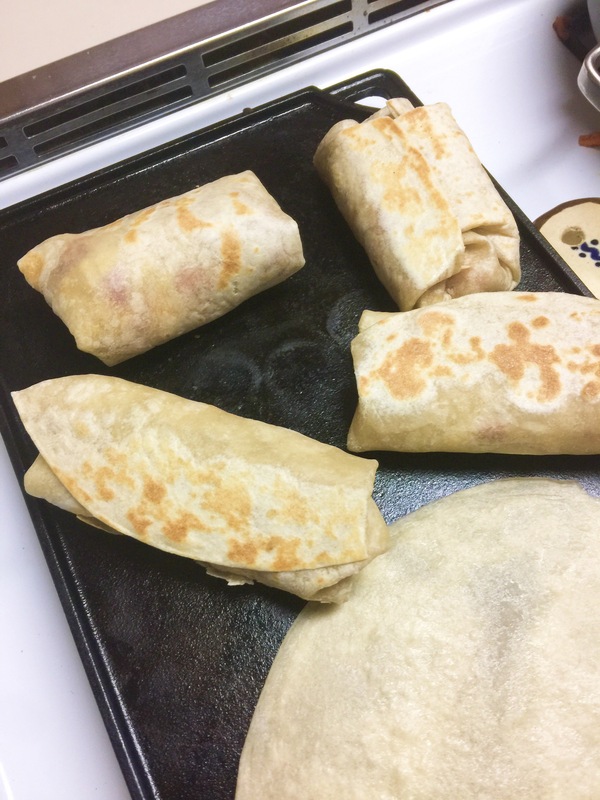 Cook tortillas, then add the filling, roll up and place back on the skillet to brown. Serve with salsa, guacamole or sour cream. What else is on Beafitmommy?? That looks yummy! I will have to try it.